My first job in a hair salon at age 14 has left me with a lifetime addiction to hair care and hair care products! I’ve always been obsessed with my hair – and a peek into my beauty closet will reveal that not much has changed since I was a teenager. 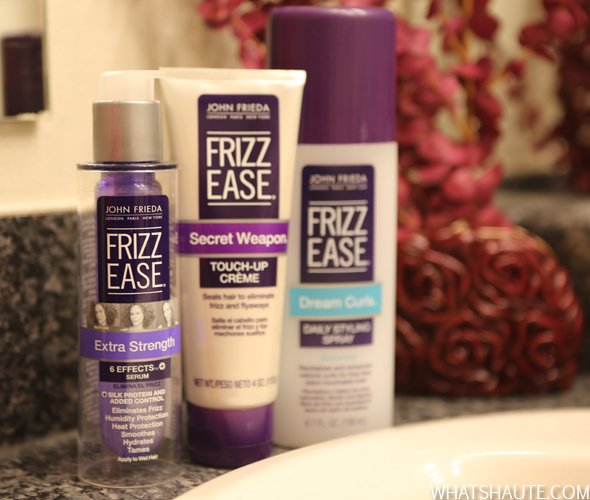 But one thing that remains consistent is my love for Frizz Ease! I’ve been using their serum for as long as I can remember and swear by it. 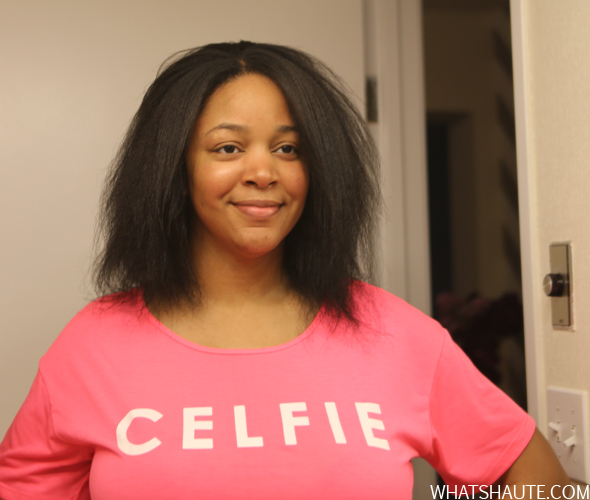 Without it, my hair is out of control and frizz is definitely not what’s haute! 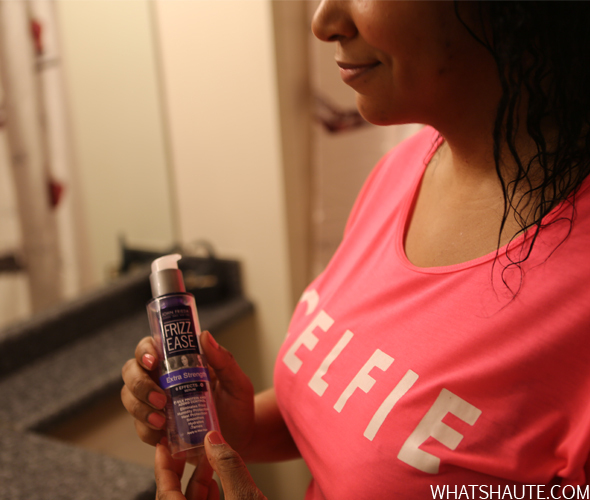 I was excited to get the chance to partner with Frizz Ease on their #downfor30 challenge! The challenge is to literally let your hair (curls) down for 30 days straight with the help of products in the Frizz Ease line. I was definitely up for the challenge! -First, purchase the following products to get started: Frizz Ease Extra Strength 6 Effects Serum and the Secret Weapon Touch-Up Crème. You’ll also need shampoo and conditioner, a towel, a blow dryer, blow dry brush, comb, bristle brush and flat iron. 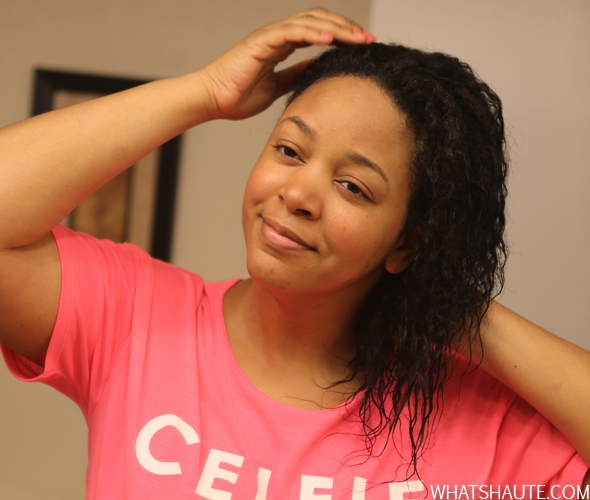 -Wash hair with Frizz Ease shampoo and conditioner. -Lightly towel-dry hair but leave it damp to apply the Serum. One pump is sufficient but since my hair tends to get extra frizzy, I use several pumps. 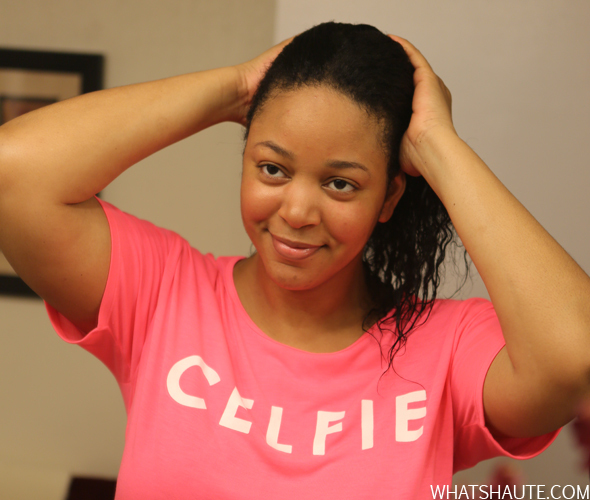 Smooth it into damp hair, working it into hair from the roots to the ends. -Next, add a quarter-sized amount of the Touch-Up Crème. 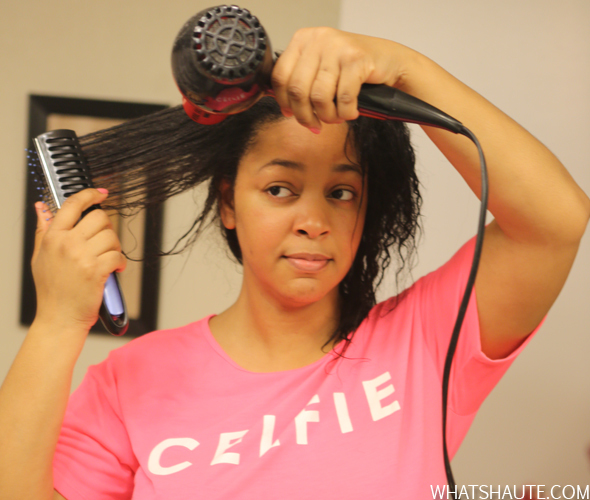 I typically don’t use a blow dryer on my hair – I either let it air dry or sit under a dryer if I have the time. 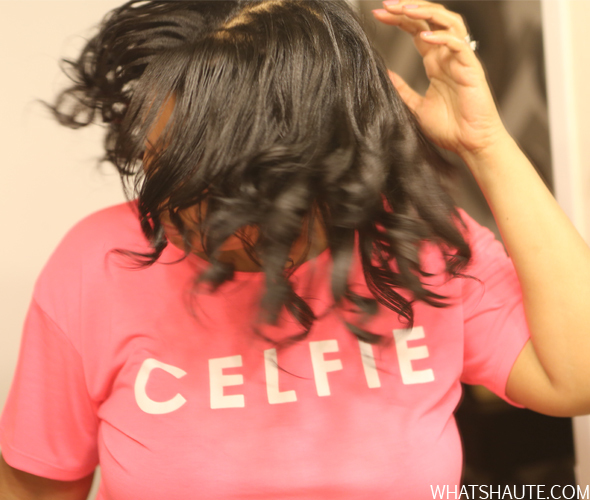 But I used it this time to really work in the blow dry crème. Work the creme into your hair – you can always use more if you have thicker hair. 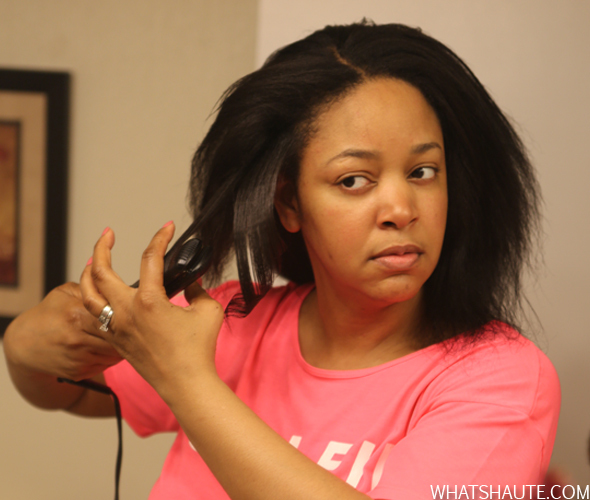 -Once dry, begin separating small sections of hair with the comb and brush each before flat ironing. 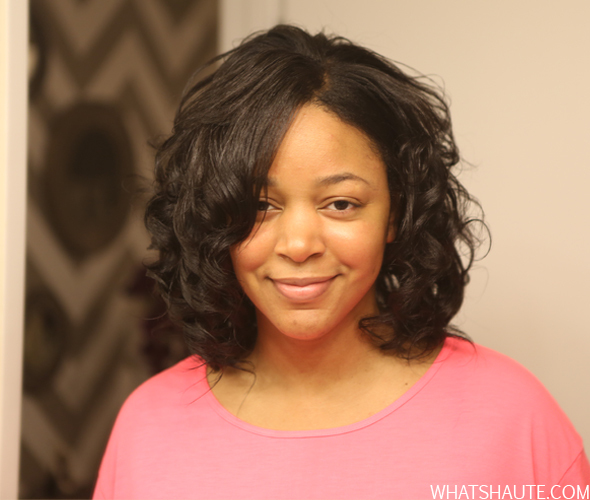 Smooth hair in flat iron from root to the center, then lightly bend each end in the flat iron to give it a loose wave. -Once you’ve finished flat ironing, scrunch your hair at the roots to add volume, and shake your head to give your hair some bounce. -Voila! You’ve got a ‘Curly Bob’! 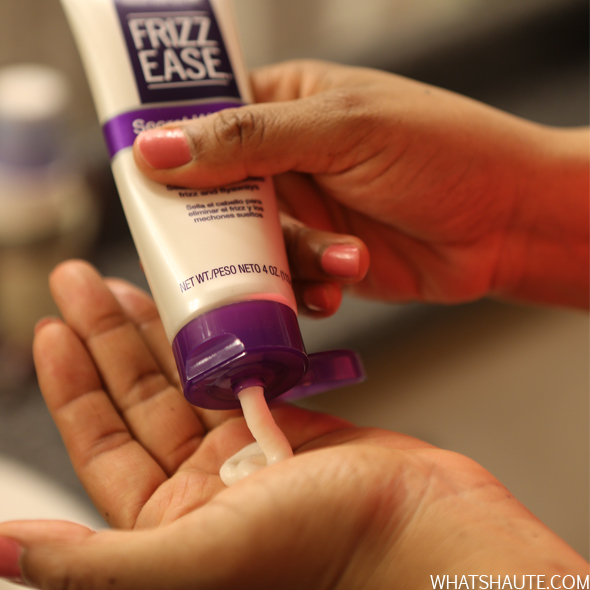 Frizz-Ease believes that when you pull your hair back, you also pull yourself back. So we’re challenging women everywhere to take on the world hair-first and wear their hair #downfor30 days straight with the help their favorite Frizz-Ease products. Join the movement at NeverPullBack.com. Disclosure: Compensation was provided by KAO via Glam Media. The opinions expressed herein are those of the author and are not indicative of the opinions or positions of KAO.